Need help with money, honey? Here are the posts I’ve written about personal finance on this blog. For more encouragement about your finances, look also at my listing of prophetic words, as there are MANY prophetic words there about finances, provision, entrepreneurship, etc. Do You Have Fallow Ground? 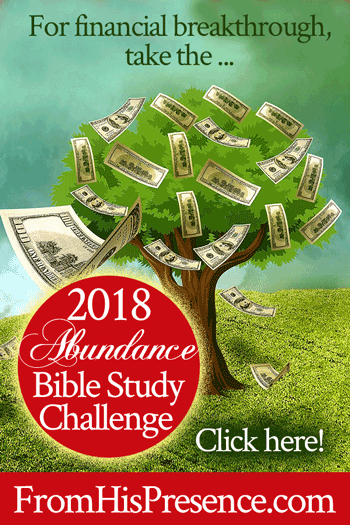 ***FEATURED***: Take the 2018 Abundance Challenge for Financial Breakthrough!